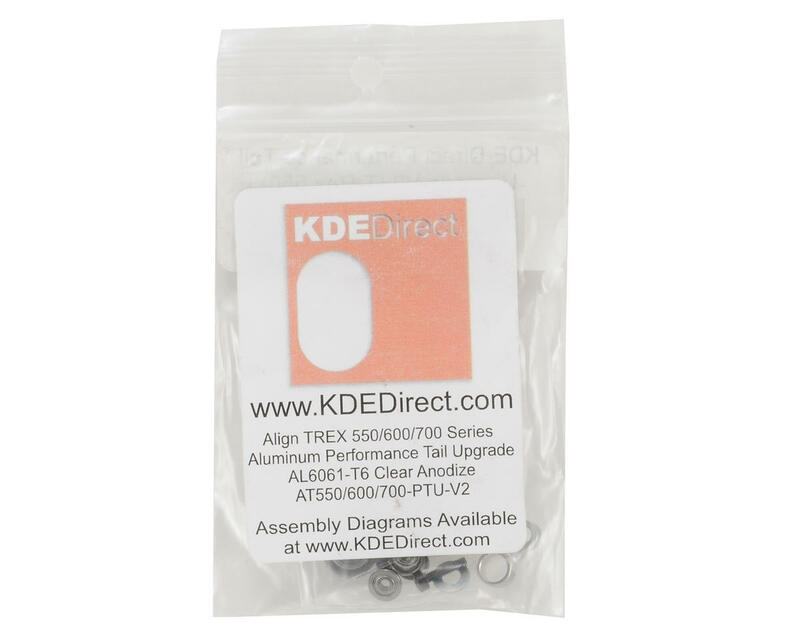 This is an optional KDE Direct Performance Tail Upgrade Kit "V2", and is intended for use with the ALIGN T-REX 550, 600E/600ESP, 600N, 700E, 700N and 700N E-Conversion series helicopters. 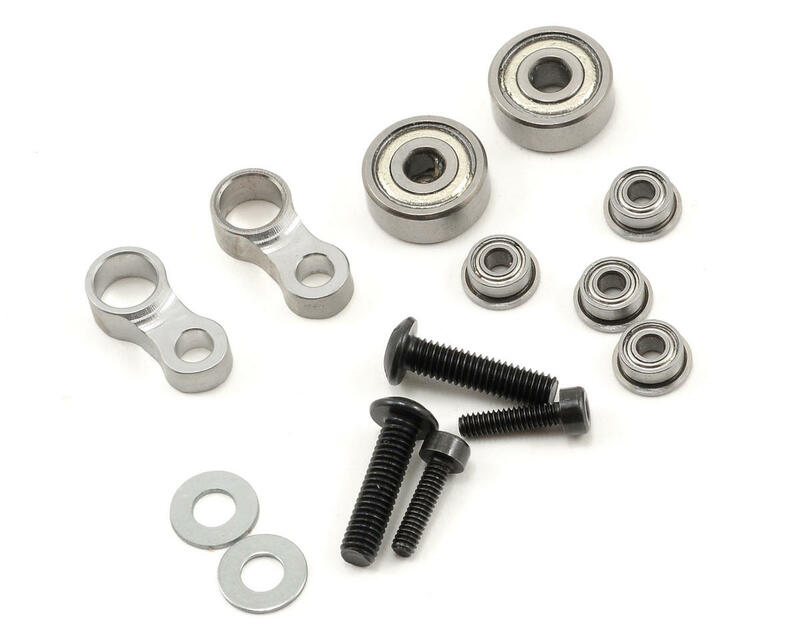 This kit is a direct replacement for the standard Align part #H60046. The Performance Tail Upgrade V2 provides superior tail control for sport and hard 3D flying styles. With dual flanged, radial ball bearing supported tail grips and precise machining tolerances for the brass bushing sleeve, the new design provides a truly slop-free, high-performance tail that is rock-solid for all maneuvers. The design is a simple retrofit for the common Align parts on the helicopter (replaces the stock plastic tail control links), with the ability to be used on all TREX 550, 600E/600ESP, 600N, 700E, 700N, 700N E-Conversion helicopters on the market and installed in a matter of minutes. Works great on my Trex 800 Pro DFC. The bearings you dont use. When installing make sure you loosen the two screws on the black aluminum part of the tail slider assembly then put the link in and two screw though then retighten the two screws on the slider. I replaced the golden screw on the tail assembly with the same size screw that comes in the kit.